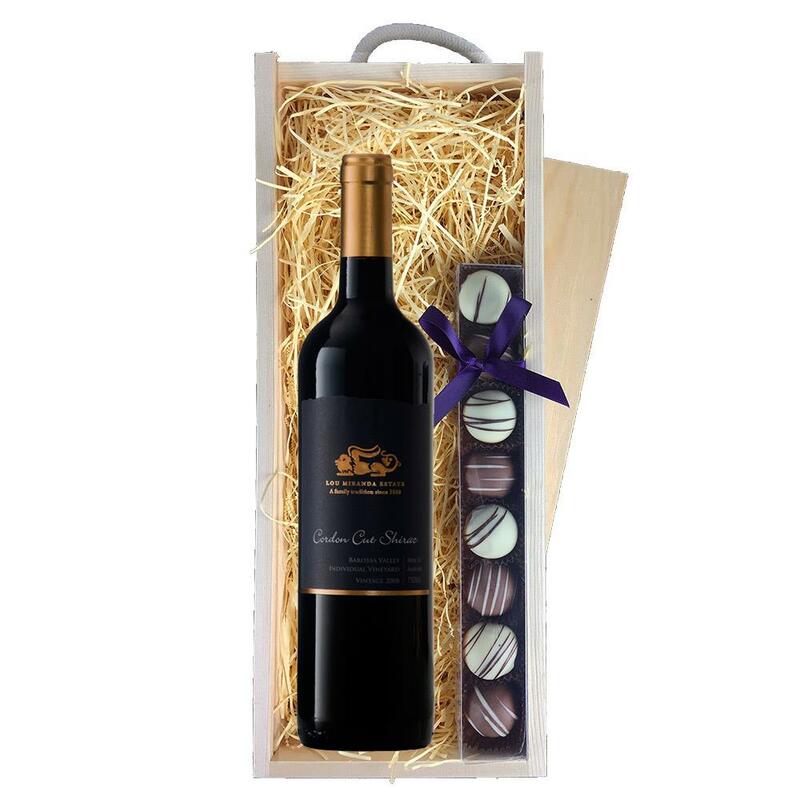 A single bottle of Leone Cordon Cut Shiraz 70cl and a single strip of fine Hand Made Heart Truffles (110g) Presented in a wooden gift box with sliding lid and lined with wood wool with a Gift Card for your personal message. Typifying the big juicy characters of the Barossa, offering great palate length and excellent tannin structure. Full bodied wine with great palate weight, length and structure. The oak delivers persistence of flavour and length œ 100 year old vines This product is hand packed onsite by Bottled and Boxed, and is not affiliated with any other brand. Bottled and Boxed is responsible for this product combination/set.